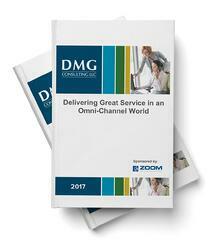 How to deliver great service in an Omni-Channel world? It’s hard enough to deliver consistently great service in one channel, like voice, email or chat. But the complexity increases as new channels are added. This is because the starting point for all service (or sales) transactions is to “know your customer,” which is difficult to do when they can reach your organization via a variety of touch points and channels.